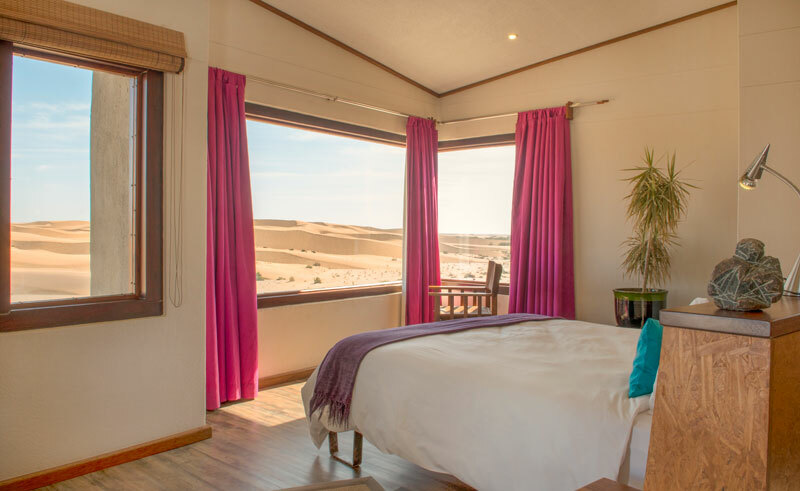 The Desert Breeze boasts spectacular views of the dunes and is a fantastic place to stay if you desire peace and quiet. 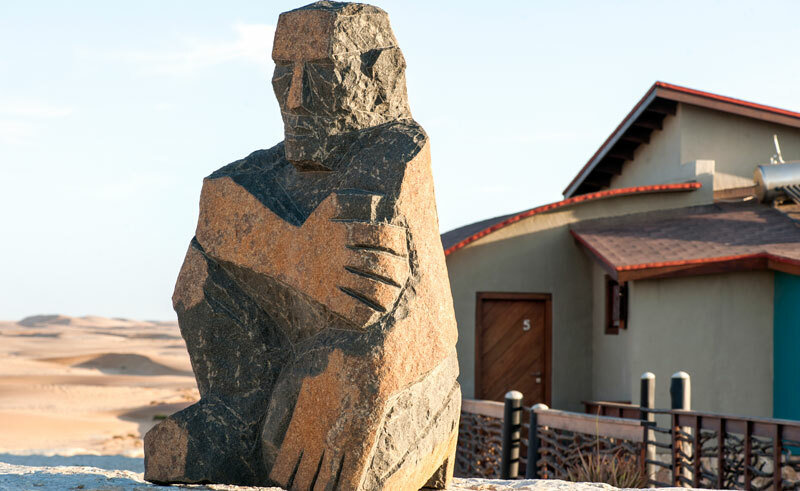 Secluded but only five minutes drive from the centre of town, this quirky property is decorated in a contemporary style, the bungalows both contrasting and blending into the desert landscape. 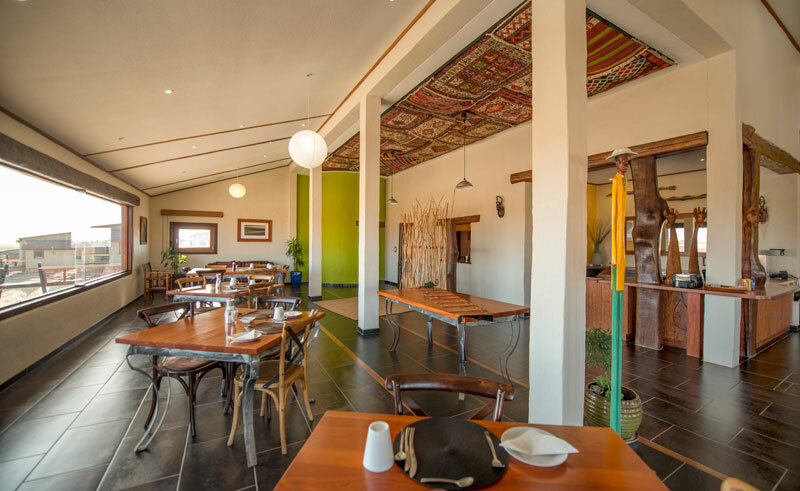 Seating is available indoors or on the deck for guests to enjoy the view and peaceful atmosphere. 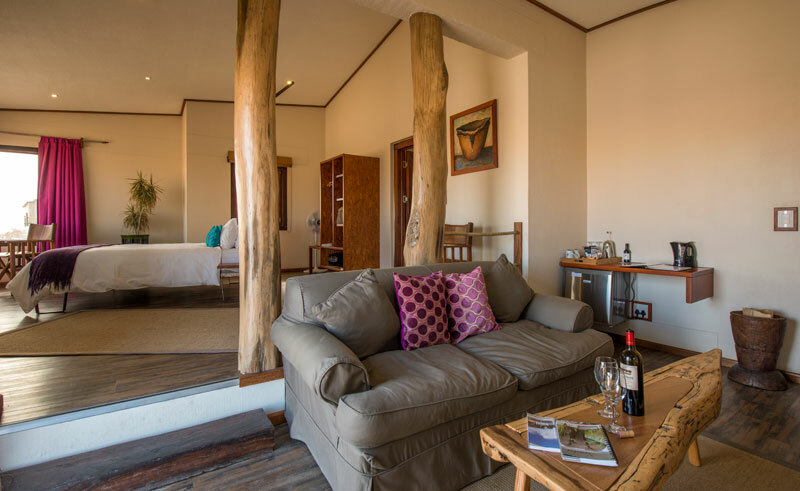 There are 12 Luxury Bungalows and one Exquisite Villa, all with private balconies, a mini-bar and tea and coffee making facilities.